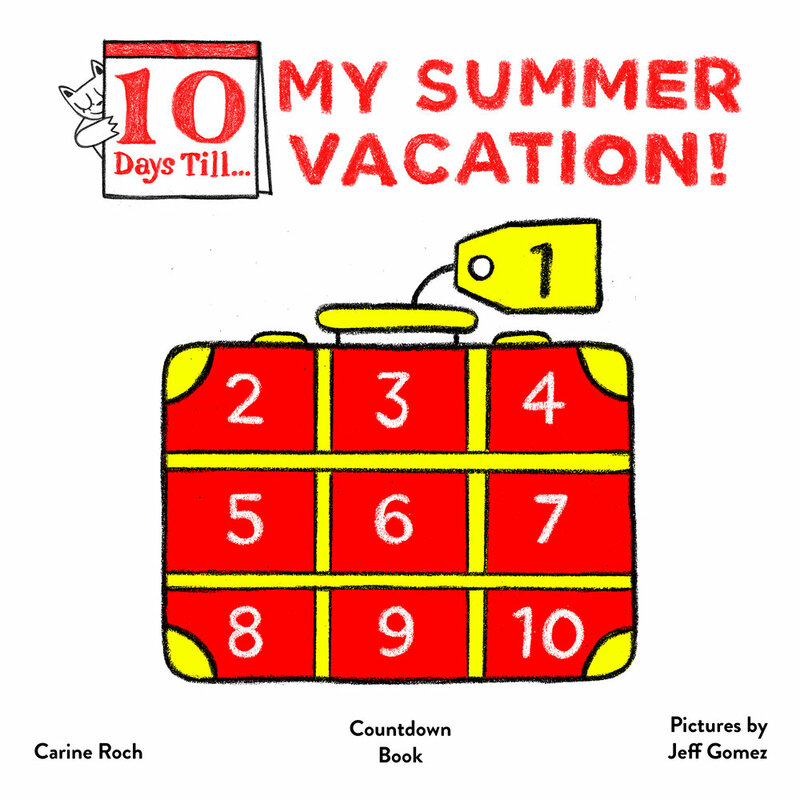 For 10 days, turn one page each day till… your summer vacation! 10 Days Till my Summer Vacation! is a countdown book that anticipates summer vacation through a playful and interactive approach and is designed to help young children (aged 2 to 7) develop their understanding of time. Based on a memory game, the book features a growing list of objects, all evocative of summer vacation, and invites children to get ready for the departure day! Coloring the objects contributes to strengthening memorization in a fun way. The concepts of color and search-and-find are also featured. 10 Days Till my Summer Vacation! is the first book of a series that’s sure to delight any reader who takes pleasure in anticipating milestone events. You can also find the book at Charlie's Corner children's bookstore, and in several independent bookstores in San Francisco. I pack my suitcase with a red book. I pack my suitcase with a red book and a blue swimsuit. Please consider writing a short review on Amazon! Your honest reviews are a precious support to independent authors. I am packing my suitcase! Imagine you are leaving for your summer vacation soon!